Did you know? Whether pursuing a career as a game designer, game programmer, 3D modeler, concept artist, or UI/UX designer, at Academy of Art University’s School of Game Development you will get hands-on experience creating a professional-quality game portfolio. Learn more. 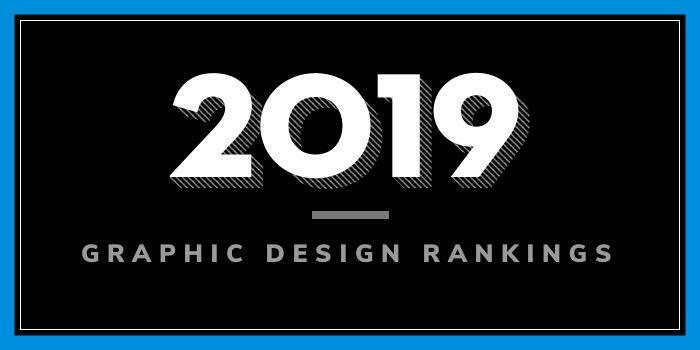 Our 2019 rankings of the top graphic design school programs in West Virginia. For an explanation of the ranking criteria, click here. Founded in 1867, West Virginia University (WVU) serves nearly 31,450 students from 108 nations, all 50 U.S. states (plus D.C.) and all 55 West Virginia counties. The school offers more than 360 majors through 14 colleges and schools. The School of Art & Design is home to the Graphic Design Program, which leads to a BFA. An MFA is also available. WVU Graphic Design graduates have landed positions at the headquarters of Coca Cola, at the helm of NBC’s entertainment division in Burbank, CA, and in major packaging firms. They are “designing the web interests of the New York Times, creating multimedia for large corporations in DC, and designing for social concerns in the national offices of Big Brothers/Big Sisters and for numerous environmental groups.” Many graduates have also remained in West Virginia where they are contributing to newspapers, the University, television stations, local agencies, and their own businesses. Founded in 1837 as West Liberty Academy, West Liberty University (WLU) serves more than 2,500 students enrolled in more than 70 programs of study through seven colleges and schools. The College of Arts and Communication houses the Department of Journalism, Communication Studies and Visual Arts. The Division of Art here offers BS degrees in Graphic & Visual Communication Design and a BS in Graphic Design. Other program highlights include lectures, workshops, tutorials, and the opportunity to work with real world clients. Recent clients include Echo International, Grand Vue Park and Recreation Center, 4-H Foundation of Hancock County, The Ohio Valley Museum Consortium, and The Strand Theatre Preservation Society. Opportunities for independent learning and internships will are available as well. Past students have interned at Action Images, Challenge Space Center, Design and Image Studio, Lamar Advertising, Oglebay Institute, and many others. Established in 1872, Concord University serves around 2,450 students enrolled in dozens of programs through several colleges and academic units. The College of Fine Arts, Humanities, and Social Sciences houses the Department of Art, which offers a BA in Art with a Concentration in Advertising/Graphic Design. The program requires successful completion of 120 semester hours including the General Education Program, the Core Program, the major in Studio Art or Advertising/Graphic Design and a minor or electives as worked out with the student’s adviser. Course highlights for the program include Advanced Illustration, Advertising and Sales Promotion, Basic Computer Graphics, Basic Production Techniques, Design, Drawing, Graphic Techniques, Photography, Principles of Marketing, Typography, and Web Design. Students will also complete Senior Seminar, which is designed to help prepare seniors for the upcoming senior jury and “how to professionally display” a senior show. An Advertising/Graphic Design Internship is also part of the program. The opportunity consists of practical on-the-job training experience with the student assigned to advertising or related business. Founded in 1837 as Marshall Academy, Marshall University (MU) serves around 13,260 students enrolled in more than 100 degree programs leading to associate, bachelor’s, master’s, first professional, and doctoral degrees. In addition, the university provides certificate programs in a number of fields. Programs are offered through 12 colleges and schools. The College of Arts and Media houses the School of Art & Design (SoAD), which offers a BFA Fine Arts: Visual Arts with an Emphasis in Graphic Design. The program provides the opportunity for students to choose their own niche as related to their interests. Options include Print Graphic Design, New Media and Web Design, and Illustration. In addition, students may minor in a related field to expand their opportunities. For example, students have minored in Advertising, Business, Game Design and Marketing. Other program highlights include an internship experience during the student’s junior or senior year, excursions to New York, Chicago, Washington and Florence, Italy, and an exit portfolio and digital presence that the school says will follow students into the job market when they graduate.